How long ago is it since you completed the ABSA Duty of Care Certificate Course in Student Residential Care? In recent times we have heard many staff say that they have already done the course and that they see no need to re-visit what is in there. We disagree. Edition 3 of the Duty of Care workbooks is completely updated, and includes a number of new chapters, and our workshops are designed to highlight the critical issues which affect the boarding schools of today. Topics such as Dealing with Modern Technology and Developing a Life Skills Course for Boarders are addressed in depth and the National Boarding Standard is not only discussed but the Student Welfare section is debated in depth, as well as getting staff to analyse which areas of the Standard they are addressing well and which areas will need work. We believe ABSA’s Duty of Care Workshops provide the opportunity to complete the workbooks in an engaging way. Many staff who are quite experienced in boarding produce ‘to do’ lists of the ideas raised by others attending, broadening their view on how they can achieve good practice in their Boarding House. By bringing a number of people working in different boarding roles to learn together, sharing stories and questions, the workbooks are brought to life and give those attending a much richer learning experience. “I really enjoyed the unit where we discussed the different learning styles and how we could alter our normal ways of life in the dorm to cater for the different students"
The National Standard expects all boarding staff to attend on-going specific boarding professional learning, and there is no better way to keep up-to-date than completing the new workbooks. ABSA offers the workshops either in house, aimed at a group of staff who want to learn professionally together, or in groups. When was the last time you spent two full days thinking about the important role you play in your boarding house? Isn’t it time? Boarding house staff are required to tirelessly provide individualised support and attention to all boarding house students. This includes being a stand-in parent for hundreds of students all at once who all have their own individual issues, needs and wants. It is the duty of boarding house staff to care for the future of tomorrow; to nurture the young minds of today, but how it is possible when a house parent has only two hands? Here at A Team Tuition, we have been working closely with over 300 young boarding house students throughout 2012-2015, tutoring them one on one to find that our role and responsibilities extend beyond checking student’s homework and assignments. As influential role models, it is vital to provide pillars of support from a home environment to nurture the growth of students within a boarding house setting. So, what are the pillars of support that comes from a child’s home? Each student requires personalised attention that allows them to nurture the two most important areas of their growth: their education and their physical, mental and social wellbeing. Therefore, the pillars of support include academic mentoring and life guidance, whereby the focus of these vital areas will allow any child to flourish in their development. 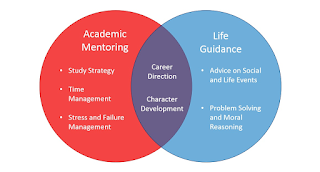 Academic mentoring involves providing students with tools on how to successfully complete their school tasks and teaching them how to apply these skills and resources across all of their subjects. Under the care of A Team Tuition, the Creating A Student’s program allows students to approach their academic studies with a holistic outlook on success. This is done by examining features such as their behaviour inside their classroom, their attitude towards their individual subjects and how they effectively integrate their knowledge outside the classroom. For example, take the traditional study method of writing out lines after lines of black and white notes, transferring the words of a whiteboard into another book. Does this really test whether the child will remember their work? How do they know whether they are really engaging with their subject’s content? Does this give them the opportunity to understand what those teacher’s notes really mean? By using this mind numbing study technique and after working with over 1000 students, the evidence points towards “No”. Therefore, at A Team Tuition we have integrated neurological and psychological theories on how to maximise the usefulness of well presented, effectively crafted study notes that will allow students to take pride in their work. By following our step by step study framework, we encourage boarding students to focus on the quality of their study habits rather than the quantity of their workload. Ensuring to continuously promote effort over results. Having developed a strong partnership between two boarding houses on the Gold Coast, the most rewarding experience is derived from the positive impact that the tutoring has on the student’s wellbeing and their overall school experience. Being able to provide life guidance and steer students in the right direction is what defines the difference between an authority figure and distinguished adult role model. It is important to address that the school experience of boarding students is distinguishably different to the experience of a day-school student. If a student experiences a challenging day at school, it makes it easier for them to deal with their struggles, when they know they are returning home to family and loved ones who can discuss and debrief on the issue, calm the student and remind them that tomorrow is a new day. On the other hand, a boarding student may have the burden of carrying those issues without being able to escape the environment; as they may surrounded by the same stimuli that may be aggravating their personal challenges at school. Despite the lines of support boarding students have with onsite house parents, nurses and counsellors; important adult figures who carry a sense of authority can give off an intimidating aura to young students. In the presence of intense, emotional situations, this daunting impression of older adults can become exaggerated and leave students to dwell on their emotional states rather than focusing on resolving the problem. Therefore, A Team Tuition focuses on hiring boarding house tutors that are relatable to young adults. All of A Team Tuition’s teaching staff are current tertiary students and graduates who specialise their teaching around their current field of study. Our recruitment data reveals that only 2-5% of applicants are hired based on their teaching ability, mentorship and resilience. By combining their current university knowledge and experience, as well as their recent schooling experiences and our accredited Academic Personal Training program, our tutors are equipped to build strong connections with their boarding house students. By relating to their own past school experiences, Academic Personal Trainers can converse and empathise with boarders who might have endured a challenging experience on the very same day. So, what is the outcome of combining academic guidance with life mentoring? Having both pillars of support allows the student to grow and mature to a level which extends beyond their daily homework tasks and social dynamics. Combining the nurturing of academic success through educational strategy, along with the mentoring of social and life events allows for a healthy advancement in one’s character development and career direction. By developing these two areas of growth, boarders will be able to cultivate their sense of identity and the role they will play as adults in society. Career direction will involve assisting children in their areas of interest inside the school curriculum, monitoring why students succeed in certain subjects rather than others, why students enjoy these subjects and how they can apply their aptitude and skill towards a fulfilling and purposeful career path. Character development involves assisting students to problem solve and reason with situations that will appear in their schooling, social cliques and general life events. Our role as Academic Personal Trainer’s is to help students find their own answers, by providing advice on what factors they need to consider to achieve the best outcome for themselves and other people involved. In the eyes of a boarding student, these young adults find a great interest and friendship in someone such as an Academic Personal Trainer who provides continuous support and insight on how to succeed in major aspects of their lives. Not only providing guidance on how to enjoy their studies but also through their social dynamics and interests, which may appear unimportant to a general audience. By taking a professional interest in the student’s academic success and their wellbeing, we create a foundational support system that is away from their family home; therefore creating a home away from home!